Excellent customer care, thanks for everything! Perfect package, the album is great! Monster album, and another amazing looking/sounding pressing from the ATO folks! excellent album, a great band which I am a fan, from argentina south america, greetings! Easy ordering process and arrived really fast from US to UK (Ordered 29th October, arrived 11th November). Well protected and in great condition. Thanks guys. 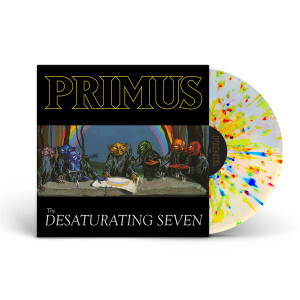 Great Primus album, very nice record and, most important, very good pressing! The sound is perfect, the record is plane, no noise - perfecty done. Wish I could say this about all ATo records I have. Record was shipped safely. Took a little bit to get it but exactly what I was hoping for. Would rather wait a little bit and take precautions to get it safely than damaged. Record shipped quickly and very well packaged. Liked the design details as well, particularly the print inside of the sleeve. Music is, of course, outstanding. I have to say, I am very pleased with both, the album and the delivery. The disc came pretty fast (took only 3 weeks) considering that I live in Eastern Europe. The package was delivered not only fast but also safe. The sleeve was not damaged at all and was in a perfect shape. The packaging itself is something very special that I guess vinyl admirers lack these days and it is BEAUTIFUL! Finally, the disc itself both sounds and looks awesome. Love the album, the vinyl, and the sleeve. I only hope, ATO Records and Primus will have more releases of such kind. I'd also like to thank both for the greatest satisfaction I had over such a long time! quite possibly my favorite primus album! the album flows together so well, and the vinyl was beautiful! Excellent album from Primus. Ordered both records (one for me, one for my son) and the artwork is fantastic. We both think the vinyl sounds better than the digital. I love this record! It even has a hole in it so I can put it on my record player! Very satisfied. The album is amazing, just what we hoped it would be. Just incredible! Plus, the ordering process was easy and the email notifications were great. Thank you! When I heard the og lineup was recording I was extremely excited to hear the music. Then when the first single dropped I thought we had a classic on our hands. This is a decent Primus album but it is also a lackluster effort. I feel there’s a couple songs that don’t move and I get it’s to go along with the kids book but it needs a couple more songs in the vein of desaturating seven. Love this record! 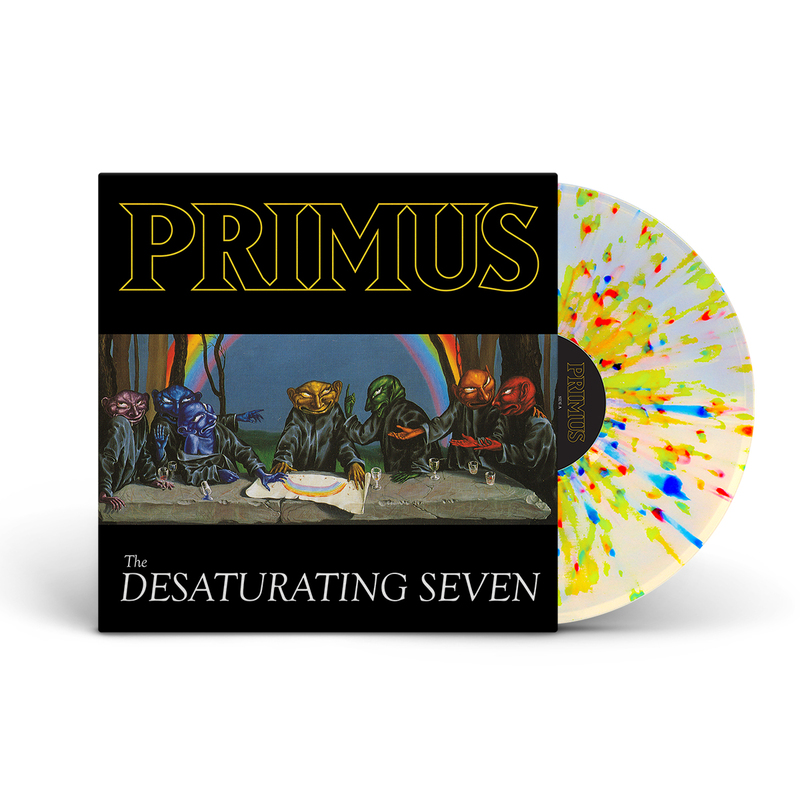 The artwork and the rainbow splatter vinyl look great! The only complaint I have is that the vinyl copy I received skips on the last track. Kind of a bummer when I want to listen from front to back. Other than that, it's great.